Melanie Stryder 或者 Bella Swan? When do 你 think Bella will become a vampire? have 你 seen her in person, like at a book signing? Help me please...What is Stephenie Meyer's 电子邮箱 address??? Have 你 ever noticed that almost all the relationships in Stephenie Meyer's 图书 have one partner significantly older than the other? is stephenie myer really 写作 a new twilight book called daybreak? 流行的 YA 作者 Jenni Frendswith talks about the roll-out of her 图书 in paperback, including the much-anticipated THIS YOUNG 耶稣 Vol. I. She talks about the future of the series, other projects, paperback vs. ebooks and life at new house Blujesto Press. Q: Jenni, your 图书 seem to be coming out all over the place! I liked your 最近的 interview for your 诗歌 book, HAIKU FOR YOU. Is that not coming out in paperback? “Stonecraft” 作者 Jenni Frendswith’s canon is now being released for Amazon’s Kindle readers. The ebook-only publisher, Blujesto, plans for Frendswith’s work to be their flagship catalog, but have also acquired the rights to this author’s 图书 and others as well. I spoke to Jenni late last 年 upon the paperback release of her adventure/romance “Stonecraft’”s paperback release, and I’m eager to hear about her new novella series, “This Young Jesus”. I was lucky enough to be able to sit down with Jenni Frendswith, the 作者 of the new novel Stonecraft, now available on Amazon.com. Her book is a part of a web-hosting program at the homesite of 作者 Fletcher Rhoden (fletcherrhoden.com/links) where there is contact information and a discount code and link. In the interests of full disclosure, my own book 查看 of a Progressive Christian is also on the site. Q: This is your first book, Jenni. What made 你 want to write, and why this story? In the current issue of EW Magazine (August 17/24) with Edward and Bella on the cover, there is loads of news on Breaking Dawn – Part 2 including new 图片 from the film. On page 37 of the issue, there is a Q&A with Stephenie Meyer. It also has a new picture of her for the article. There is one 问题 that is about The Host, and I have typed it out below. “You’re currently working on a film adaptation of another of your books, The Host. Has your experience with Twilight changed how 你 feel about turning your 图书 into movies? When she first looked into her daughters dark 浓情巧克力 eyes she felt 爱情 and happiness. The soft broze curls in her hair shot a feeling of hope in her body;that she was alive.She felt 爱情 for this little one. A kind of 爱情 she had never felt before:of 爱情 and protection. The kind of 爱情 a mother feels.A 爱情 so passionate it hurt for her to feel. The 天使 looking back at her was the most beutiful she had ever seen. No one had ever imagined such beuty. 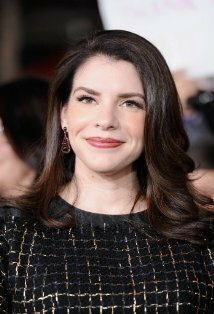 a question 增加: Help me please...What is Stephenie Meyer's Email address??? Who do 你 think should've played the Twilight characters?